Costs – Tree owners in Salinas, California should pay the right price for tree maintenance and removal. Compare your quotes against the average so you don’t pay more than necessary. FAQs – What kinds of trees thrive in Salinas? What about fruit trees? What bugs and diseases are currently hitting trees hard? Find out this information and more. Services – Get in touch with a pro in the area today! How Much Do Tree Services Cost in Salinas? In Salinas, tree maintenance and removal service costs are on a par with national averages.Residents can expect the following figures, though it can vary depending on how many trees they need felled or maintained, and if their trees are near power lines or the home. Extra equipment and care will be needed to handle such situations. Stump removal is also a process that might require extra work. In an urban setting, trees must be dismantled at the end of their life. This is a job for properly insured professionals. The cost of the removal depends on the tree itself as well as its location but averages $545 to $735. Costs rise, for instance, if it is planted in a narrow passage, close to a structure or behind an obstacle. The final price of a removal depends on the difficulty of the job, including how long it takes, how much danger is involved, and whether special equipment must be used to cut or extract difficult sections. Many tree removal specialists will also remove the leftover stump after they break down the main branches and trunk of the tree. This is typically an extra charge, averaging $80 to $150. Stump grinding is a valuable tree removal service as it is often the toughest job to work through, especially if the stump is embedded in rocky, hazardous soil or is resistant to grinding. Such factors increase the final cost. The most common type of tree maintenance is routine pruning and trimming, which costs between $520 and $740. Trimming usually means cutting back branches to encourage a safe and appealing appearance. Pruning is similar, but it occurs within the crown and helps give the tree its exterior shape. In Salinas, street trees must be trimmed and pruned to ensure that they do not pose a hazard to any pedestrians or vehicles. Maintenance procedures may be more expensive if the tree is particularly tall or falling apart due to decay. The largest city on the central California coast, Salinas is nicknamed the “Salad Bowl” in reference to its highly productive agricultural sector. However, the intensive land development associated with this sector has depressed local tree coverage to just six percent as of 2013. An Urban Greening Plan is currently in the works to expand the town’s urban forest along sustainable lines. Salinas is located a short drive from old-growth Redwood forests in Limekiln State Park and Los Padres National Park. 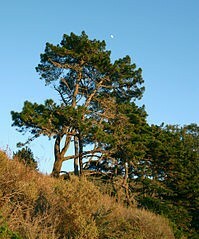 Deemed the State Tree of California, the soaring Redwood is the tallest tree species on Earth. Salinas is home to other tall trees, too, including palms like the sabal palmetto and pine trees like the native Monterey pine. 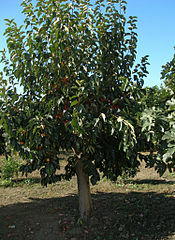 Fruit trees are also widely grown in Salinas for both commercial and landscaping purposes. The warm marine air and fertile soil make it an ideal climate for cultivating apples, pears, plums, cherries, quinces, pecans, apricots, almonds, figs and a wide variety of citrus. The thermal belt on each side of the Valley accommodates semi-tropical tree fruits like papaya, pineapple, mango and avocado. Orange and lemon trees are popular backyard produce. In all cases, growers should prune fruit trees regularly to ensure they continue to bear fruit year after year. Salinas is situated in a valley whose climate mirrors the balmy Mediterranean trend of the West Coast. 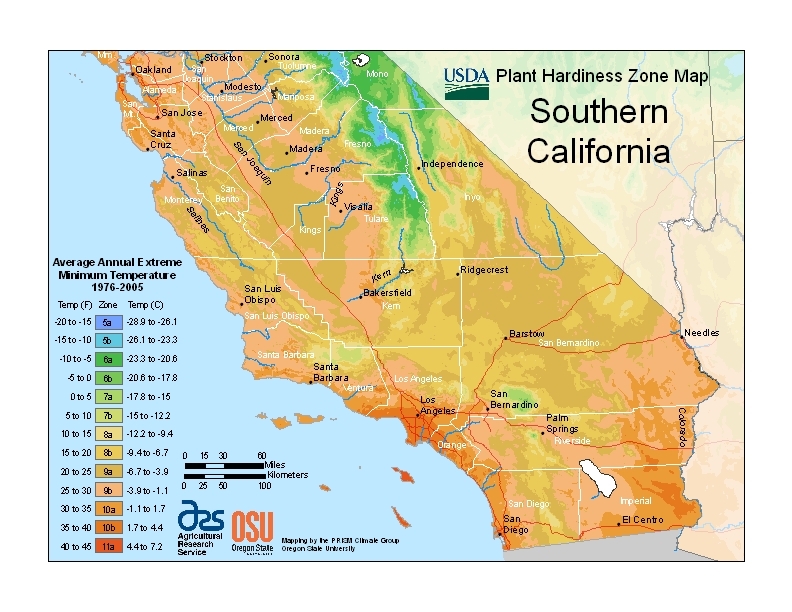 The northern side of the Valley, closest to Monterey Bay, has cooler summers and milder seasons compared to the more pronounced temperature cycles of the southern Valley. Irrigation in the Salinas Valley comes from groundwater sources dependent on the nearby Salinas River. The Salinas Valley has experienced record drought in recent years, with few signs of letting up. It is thus important to plant drought-hardy trees that will flourish with water-wise landscaping. This is a major reason native trees are preferred; they are naturally adapted to the cyclical drought conditions that typify the central California coast, generally requiring less water, fertilization and overall maintenance. Tree owners in Salinas need to be aware of pests that could cause their landscape trees to become diseased. The citrus leafminer pest, for instance, has been found among the area’s lemon trees. The deadly Bagrada stink bug, which has caused major brassica crop losses in southern California in recent years, has been found in significant numbers throughout the southern Salinas Valley. Local pest alerts are distributed by the UC Integrated Pest Management program. The City of Salinas reserves control over all street trees in the municipality, although not liability for improper maintenance. A permit from the Maintenance Services Department is required for homeowners to take any action with respect to trees lining a public right-of-way like the street or sidewalk. If the City decides to remove a street tree, the adjoining property owner will be billed for the cost if the removal is deemed to serve his or her benefit. In general, it is up to adjacent property owners to keep their street trees properly pruned back and healthy, although the city may undertake such work at its discretion.